MADesigns LIMITED Shapes are back by popular demand. This collections is for truly discerning players who do not mind paying that little extra if it means they would get a terrific shape that is not worn by many others. Think of MADesigns Limited as a mini-custom with fraction of the cost of custom shape plus we throw in additional extras just to sweeten the deal. 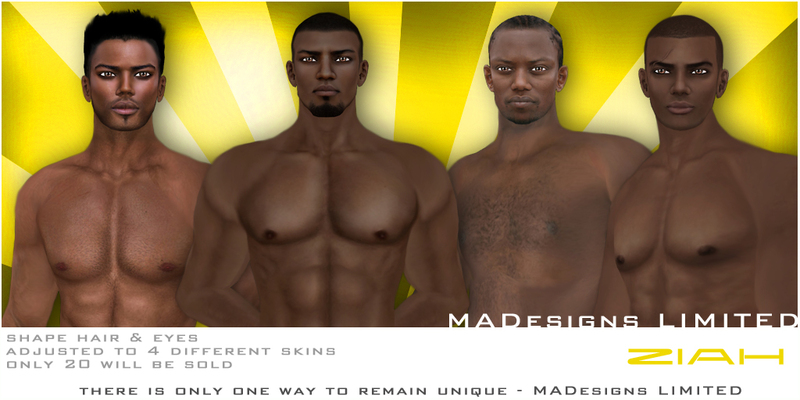 PACKAGE CONTENT: With MADesigns LIMITED each shape is adjusted to fit 4 relatively similar-in-look skins with eyebrows provided for each to match then perfectly. 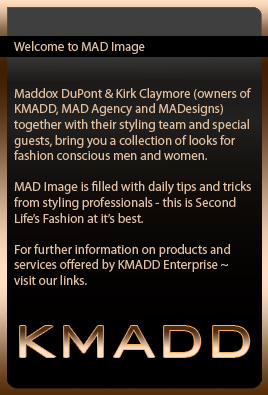 MADesigns Hair and Eyes shown on the vendor are also included as well as skin information card. All shapes are of course modify so you can tweak them to your liking. Body types vary but demos are certainly available and we can help you adjust the shape to suit your needs as well (this collection is inclusive of complimentary body adjustment exclusive to KMADD).